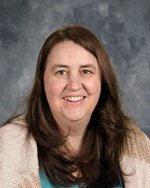 Carol Robinson is the District Librarian for Joint School District#171 in Orofino, Idaho. She taught secondary English for four years and then taught elementary library for five years and secondary library for nine years. In order to do this effectively, she received her teaching credential in English from University of California, Irvine and her second, specialist teaching credential in library media and also a Masters in Education with an option in school librarianship from Cal State, Long Beach. With 18 years of teaching experience, she then decided to apply for the Lilead Fellows Program. She represents the smallest district in the program with a mere 1,000 students; her district is located in north, central Idaho. The district’s focus is for students to reach their full potential and she is reinforcing this focus with a goal of infusing student learning with inquiry based research so students are prepared for the tough problems they will face in the future.